A few days before Hurricane Matthew roared into the Caribbean in early October, officials at By Light Professional IT Services in Arlington, VA, heard from the Defense Logistics Agency that the U.S. military might need commercial satellite capacity for relief efforts. By Light is a service-disabled veteran-owned business with a contract to provide the DoD with satellite communications and other SATCOM services when and where they are needed. 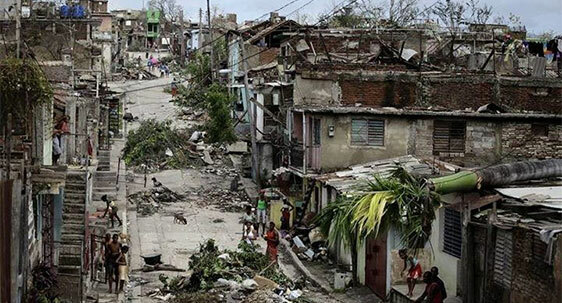 The hurricane passed directly over the southwestern peninsula of Haiti on October 4, killing more than 1,000 people, destroying thousands of homes, and leaving an estimated 1.4 million victims in urgent need of humanitarian aid, according to the United Nations. Within three days, U.S. military personnel began arriving with supplies and equipment for the relief efforts to move food, water, medical supplies and temporary shelters to Red Cross and other aid workers in the affected areas. Nine military helicopters were on the scene to assist in moving the supplies. The Joint Task Force established a command center in Port-au-Prince, the capital, and set up a ground terminal to connect to Intelsat’s Galaxy 18 satellite. The satellite connection used Ku-band capacity to support first-responder communications and the coordination of relief efforts. The U.S. Agency for International Development was the lead relief agency and had teams on the ground to identify needs and then request military assistance to deliver supplies. Over the next two weeks, some 400 U.S. service members moved more than 250 metric tons of critical supplies, according to DoD officials. Jeff Adelman, Program Manager at By Light who coordinated the Galaxy 18 capacity with Intelsat General, said the satellite connection will provide support for the relief effort at least through the end of the year. Most U.S. military personnel sent to Haiti have returned to the United States, but a small communications team remains in place operating the ground terminal connected to the Intelsat satellite network.